Travelling to France soon? Sounds great! France continues to be high up on a lot of people’s list of places to visit, and I’m thrilled that you’re planning a trip. Before anything else, let’s just do a quick rundown of the things you need to take care of before your trip. Pack the right clothes. Make sure you pack the essentials! This guide will help you figure out what to bring. Find out the things to do and not do as a tourist in France. You can get that here. Research some unusual customs or French habits you should know before your visit. Plan your activities. Whether you’re going there on summer or autumn, on a romantic getaway or with kids, in a small town or in the heart of Paris, there’s plenty of articles you can find here on this website to help you out. 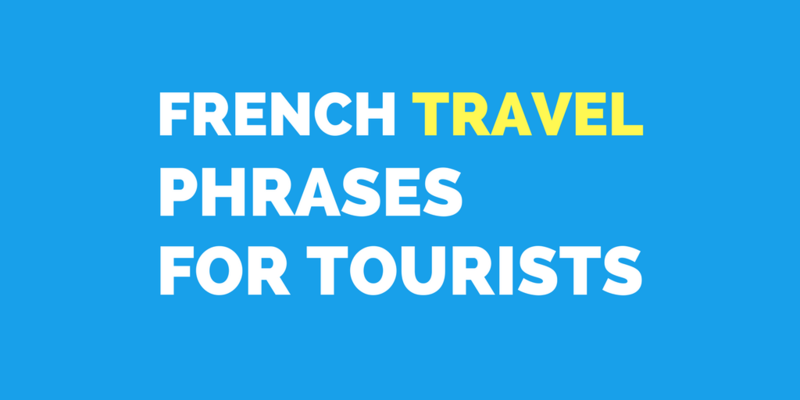 Finally, let’s proceed to the list of travel phrases which is what you came here for. 14 You're welcome De rien / Je vous en prie. 19 I am here on holiday. Je suis ici en vacances. 20 I am here on a business trip. Je suis ici en voyage d’affaires. 21 Do you speak English? Parlez-vous anglais? 22 I only speak English. Je ne parle que l’anglais. 24 I understand. Je comprends. 25 I don't understand. Je ne comprends pas. 27 Repeat it, please. Veuillez répéter, s’il vous plaît. 31 Write it down, please. Écrivez-le, s’il vous plaît. 32 How do you say ___ in French? Comment dit-on ___ en français? 33 What does ___ mean? Que veut dire ___ ? 34 I don't know. Je ne sais pas. 35 Can you help me? Pouvez-vous m’aider? 36 I have a problem. J'ai un problème. 37 I have a question J'ai une question. 39 Where is...? Où est … ? ...the bank? …la banque ? ...the beach? …la plage ? Eating out is a huge part of your trip to France, so you’ll definitely need more phrases for that. For starters, the most important phrase you need to remember when ordering is “Je voudrais” “I’d like…” You can also check out this article for more phrases for ordering. The phrases listed in this article are just some of the very basic that you need to know. 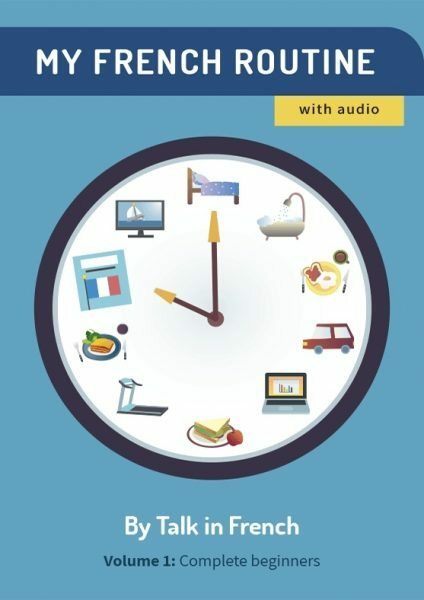 If you want to learn more, you’ll need a complete French phrasebook that won’t only show you the words to say, but will also tell you how to say it. Such as this one which you can get in the Talk in French Store. It comes with audio for you to practice listening and pronunciation–anytime, anywhere. It also covers 23 topics and 2,000+ words with phonetic pronunciation guide, plus a cultural guide and a two-way dictionary.